The Raqs Flow program is designed for students who seek to achieve personal growth and development through completion of all 4 levels. Levels 1 and 2 are open to anyone interested in learning more about Raqs Flow or just looking for in-depth training with Sadie, without the obligation to test. Levels 3 and 4 are closed to students who are certified in Level 1 and 2. Raqs Flow celebrates the belief that our bodies are innately designed for dynamic movement. Dancing is one of the most natural and primitive forms of self-expression, devotion, cultural heritage and social bonding. Dance is very therapeutic and healing on both a personal and social level and is accessible to all! Aspects and benefits of dance are accessible even to those who are physically impaired or immobile. 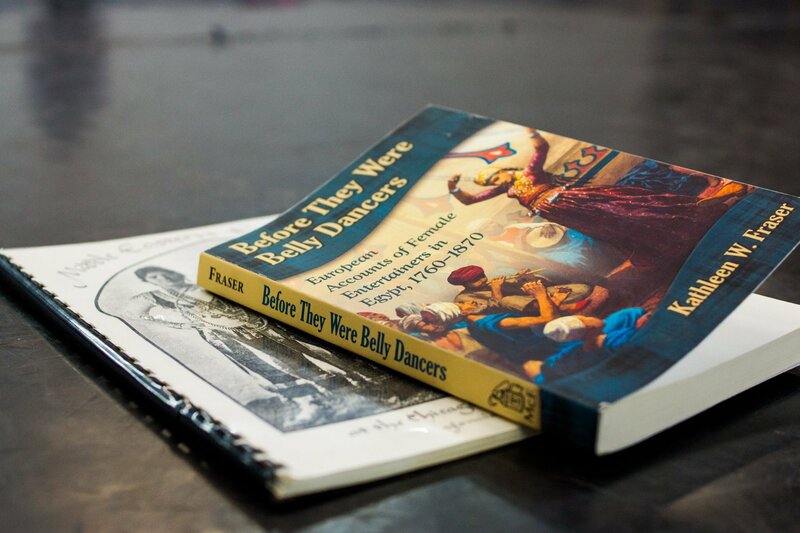 Raqs Flow seeks to instill a deep understanding and appreciation of the technique, history and culture of Bellydance as well as examining the art form in terms of its historical and current context, relevance and application. The training program allows students and professionals a safe, non-judgemental space to discover and study the many facets of the subject on a deeper level than would otherwise be possible. The program empowers students with the knowledge and know-how of understanding their body and expressing themselves through dance movement; helping to removing all blockages, physical, mental and emotional that keep us from our flow. Raqs Flow respects each person’s unique way of interpreting this art form as well as the journey that brought them to it, while honoring and preserving the traditions of this dance for future generations to enjoy. There is so much wisdom and culture of this ancient yet ever evolving dance. The 250-hour—4 level program— educates, motivates and inspires students through direct interaction and participation in program intensives and immersion opportunities; such as retreats, workshops and tours. The program requires students to fulfill a required amount of hours toward intellectual study, projects, assignments and personal practice which can be done on their own time and at their own pace within the guidelines of the program. The design of the program allows students to stay dedicated to the style of their preference while exploring and learning about the relevance and importance of all the styles that make up the art form. Students completing and earning certification in all 4 levels of the program will be eligible to participate in advanced level graduate courses which will offer specialized, focused training in certain professional topics. More information will be made available upon enrollment of Level 4. *Upon registration for Level 1, students will receive a fully detailed program Welcome Packet. Open to all levels of dancers though this is not a beginner’s course. Dancers should have some basic training in Bellydance. Implementation of posture and arm positions. A 2-hour testing will be scheduled at the conclusion of the Level 1 intensive to evaluate comprehension of the material covered. Open to all dancers who have participated in Level 1 whether they tested or not. Continuation of history and cultural examination. Disseminated to students as they register for Level 2. You are only required to fulfill the prerequisites if you intend on testing in Level 2. Testing will be scheduled at the conclusion of the Level 2 intensive to evaluate comprehension of the material covered. Closed Level for dancers who have tested and passed both Level 1 & 2. Improvisation to live music with assigned movements sets. Disseminated to student upon registration for Level 3. Testing will be scheduled at the conclusion of the Level 3 intensive to evaluate comprehension of the material covered. Level 3 projects and reading assignments of blogs, research papers and books on related topics of Level 3. The Level 3 written test will test for competency in the reading material. Closed Level to dancers who have tested and passed Levels 1, 2 & 3. Disseminated to students upon registration for Level 4. Testing will be scheduled at the conclusion of the Level 4 intensive to evaluate comprehension of the material covered. Level 4 projects and reading assignments of blogs, research papers and books on related topics of Level 4. The Level 4 written test will test for competency in the reading material. *Curriculum and course material subject to change at anytime. “I feel as though I have been given the gift of rejuvenation. I have danced consistanly for over 20 years, but I rarely take the time to reflect, drill from the ground up, and focus on foundation. I absolutely love the all encompassing approach of Raqs Flow. I feel the history and education on culture is invaluable. 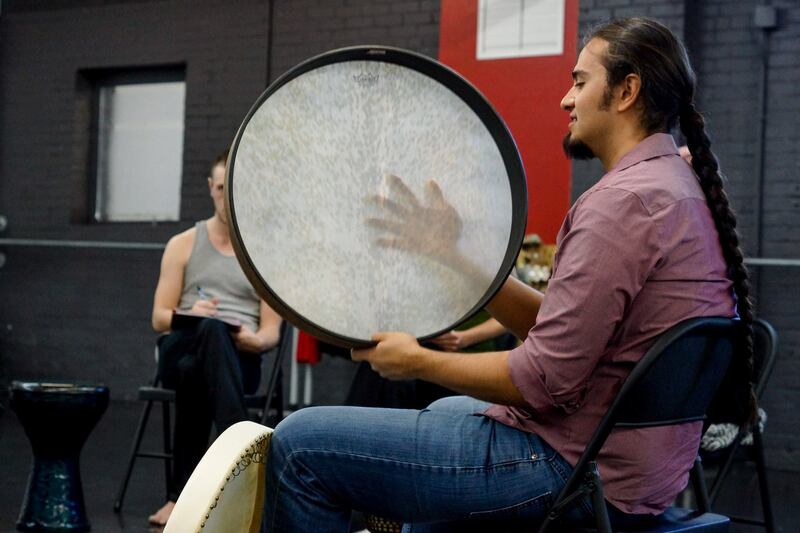 My program offers students a focused, in-depth curriculum to fully immerse themselves into the Oriental Dance arts. Raqs Flow was designed to develop technically strong, educated students who hold a broad understanding and scope of the dance form commonly referred to as Bellydance. Students will realize quickly that Raqs Flow is not about me or learning “my style”. My main premise is to help students find their own voice and their own flow while exploring this rich, diverse art form. The most common approach to learning Bellydance leads the majority of students to train in classes and “weekend warrior” style workshops that focus mostly on “bestselling” topics to sell out a class. This approach barely skims the surface of what this dance has to offer; if it even touches on it at all and ultimately leads dancers in the direction of imitation rather than creation. This is a program for students looking to go a journey of personal development. My floor is open to students who are just discovering this beautiful dance as well as advanced professionals seeking a safe, non-judgemental space to continue honing their craft. As your mentor I will push you, challenge you and inspire you! WHY DID YOU DEVELOP RAQS FLOW? WHAT MAKES YOU QUALIFIED TO DO SO? 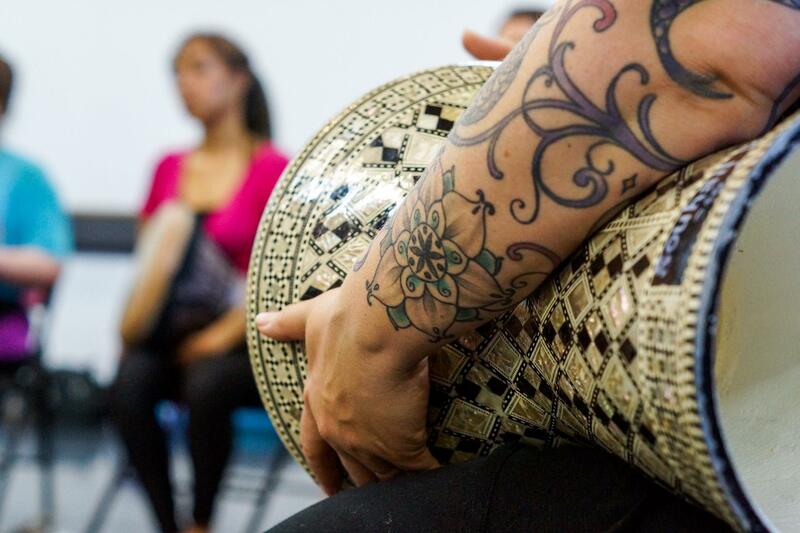 As of now, there is no governing body that qualifies or licenses Bellydancers to professionally teach, perform or offer a certification program. At least not by the standards of institutionalized higher education or other certifying agencies such as ACE in the fitness world or the Yoga Alliance in the yoga world. Maybe one day there will be, but for now Bellydance will continue to thrive the way it has for hundreds of years; and personally I think that leaves the frontier open for incredible artistic expression and creativity. True, anyone can hang a shingle and call themselves a “professional” but this does not mean that there are not really great and worthwhile programs out there with incredible teachers, quite the opposite actually. It just means that you should do your homework in researching dancers. Ultimately it is you who will make the decision on whom you deem qualified based on what you are looking for in a teacher and who you connect with. When seeking an instructor or mentor, align with your personal dance goals and the type of people you want to surround yourself with. I was motivated to create Raqs Flow by my students and their enthusiasm and trust in me! My ultimate inspiration comes from a place of deep gratitude and insatiable desire to empower others! I want people to fall in love with this dance as much as I have! In the nearly two decades I have been practicing Bellydance I have performed and taught thousands of hours and thousands of students, in hundreds of cities in over 40 countries. I have made dozens of instructional videos and shared the stage with some of the worlds greatest legends and stars. I have had the privilege to discuss the politics and issues that are of concern in the Bellydance community with many of my peers and respected artists. I have learned hard lessons and have been challenged and pushed to my limits. My enthusiasm to continue dancing has ebbed and flowed. I won’t insult you by pretending that it is all glitter and glamour because it is not. To be great at anything takes patience, self-examination and growth. To this day I train and study with our living grandmothers and grandfathers of the dance. I train my body through other modalities of movement and I strive to link the connections of a universal dance language as well as appreciate and perserve the uniqueness of Oriental Dance. Being a foreigner in love with an art form from Arab culture has motivated me to understand all that I can about it on a deep level. The journey never ends. I am a seeker! Teaching for me is the highest form of education. Raqs Flow is not just a training program, it is a community of supportive, creative individuals. The real magic happens within the community setting. Raqs Flow is a beautiful way to network with other dancers and to find yourself surrounded by a positive, encouraging environment. That is the energy that I attract and uphold for all of my Raqs Flow trainings and retreats. If your looking for tough love and militant style training, then Raqs Flow may not be for you. As a person who wishes to contribute to the beauty and kindness in the world you will not find any harsh, dogamtic teaching styles with me. While the Raqs Flow curriculum is physically demanding and challenging and I push my students to give their best and to break thresholds within themselves, at the end of the day, I treat all my students with respect for the individuals they are. There is no “one size fits all” conformity mentality in my program. My ultimate goals is, once again, to empower students and leave them feeling better about themselves. If I can help anyone more deeply connect to their physical bodies, then I know that will positively impact all areas of their life. Level 1 is open to all levels of dancers but it is recommended that you have some basic knowledge and experience with beginner Bellydance techniques and movement. As preparation for level 1, you can take online classes with Sadie or work with her DVDs to get familiar with her teaching style. Level 1 and 2 are open to anyone interested in learning more about Raqs Flow or just looking for in depth training with Sadie without the obligation to test. Levels 3 and 4 can only be attended by students certified in Levels 1, 2 and 3. WHAT STYLE OF BELLYDANCE DOES RAQS FLOW TEACH? Raqs Flow does not train dancers in any one style of “Bellydance”; it creates students who are aware of their body and helps them understand how to create dance movement. Raqs Flow will explore a handful of different techniques and postures to create the movements of the Bellydance vocabulary. These techniques are broken down into Sadie’s specific format, referred to within the program as the “Raqs Flow Movement Vocabulary” as well as examining and breaking down what is referred to within the program as the “Raqs Sharqi Movement Vocabulary”; these are the core movements and steps that make up our dance form and have been adopted from culturally Arabic dances for as far back as we can historically document. Additionally other regional Middle Eastern styles will be studied, practiced and examined within the program. HOW MANY YEARS DOES IT TAKE TO COMPLETE? The 4 level, 250 hour program will take students anywhere from 2-4 years to complete depending on the pace they want to set for themselves and the training offerings. Trainings will be offered more frequently as the program evolves. DOES CERTIFYING IN RAQS FLOW GUARANTEE A PROFESSION AS A BELLYDANCER? No. There are many aspects, attributes and qualities a person must posses to succeed at anything in life. Raqs Flow helps students to develop many of those skills. It specifically gives students an edge as a technically trained and skilled dancer who understands the art form he or she is interested in making a profession within, however it is not a pass to success. 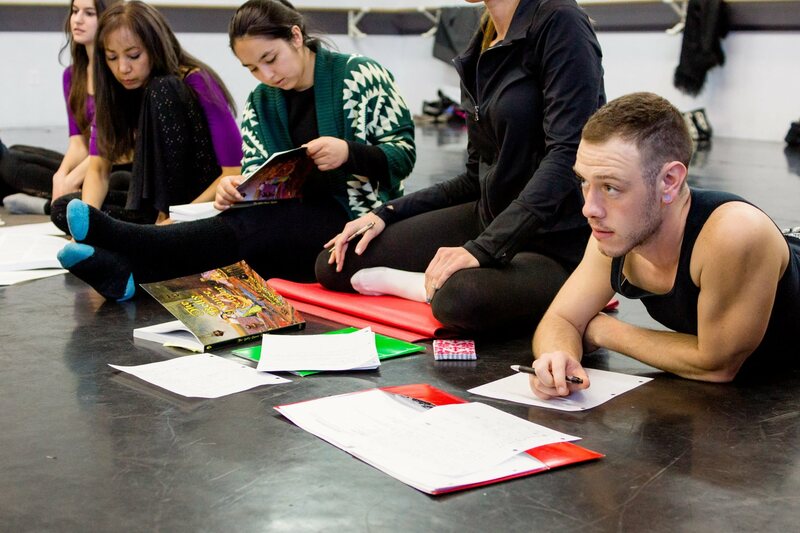 Many of the graduate programs offered after the Level 4 begin to delve deeper into crafting a profession as a dancer.